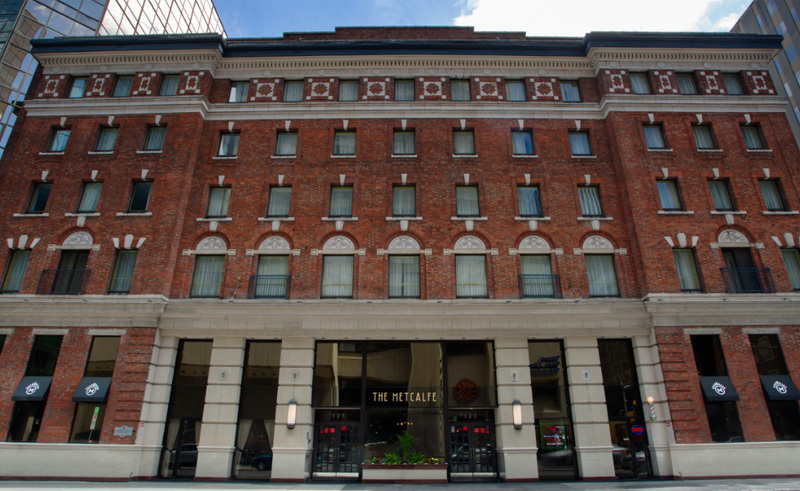 The Metcalfe Hotel (formerly Hotel Indigo) provides a refreshing and relaxing place to stay in downtown Ottawa. The modern lobby with its skylight, water features and feature wall set the tone on arrival, whilst the amenities on site continue the natural theme. The Phi Bistro & Bar offers ever changing seasonal ingredients and gourmet dining, and the fitness centre includes an indoor pool, gym, whirlpool and sauna. Rooms and suites have been created around the simple, calming patterns of the natural environment, with dark hardwood floors, cosy rugs and large wall murals. Located close to downtown Ottawa’s shopping, dining and entertainment, the Metcalfe Hotel is also within easy reach of the Rideau Canal and other tourist attractions of Canada’s capital city.